This entry was posted on November 2, 2010 by iheartfilm. 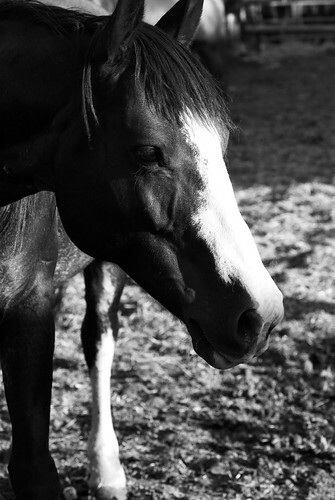 It was filed under Black and White, Horses, Ilford Delta 100, Portrait and was tagged with Black and White, film, horses, Ilford Delta 100, montana, nikon f100, noritsu koki, paradise valley, photography. This is great – interesting angle. Another gorgeous play of light and shadow!